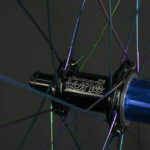 Every now and then we like to show you a custom hand-built wheelset we built for a customer that stands out. 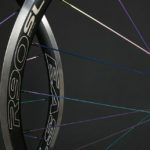 The R90 SL rim is a great all around rim with a 19.5mm internal width built for years of abuse. 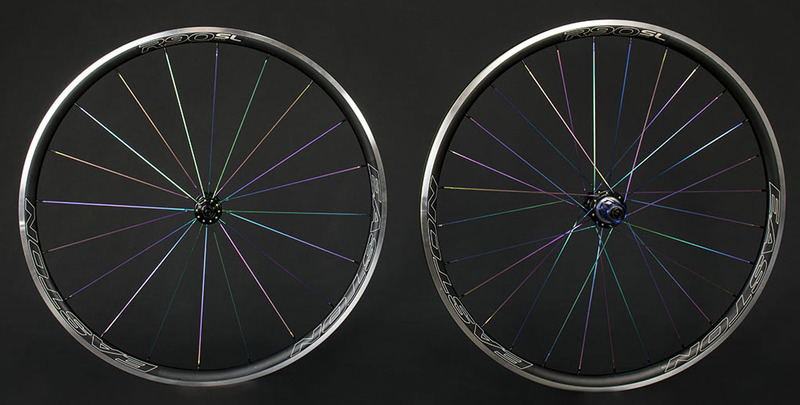 Given the rim is not an especially light alloy clincher — although it is very respectable for a wider 19.5mm rim — we normally build them up with similar components, mainly the DT-Swiss 240 or 350 and Sapim’s CX-Ray Spokes. 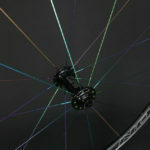 But, this time we went with lighter wheel build options with the Tune Mig / Mag hubs and Pilar Mega Lite SS spokes with their unique rainbow finish. All together this bring the build weight down to 1354g almost 130 grams lighter than the stock Easton EA90 build. Wanted to start out by commenting how how beautiful that build is. The anodized rainbow look is amazing, but at the same time subtle. Something I plan on building in the future. I am about to start a build with the same rim. Do you have any suggestions? Not sure about the hub yet, but I am leaning toward DT240. Sounds like you’re describing a bottle of wine. It’s a wheel.